Between Fact and Fiction: SIDEKICK Cover Reveal! Plus Some Epiphanies. 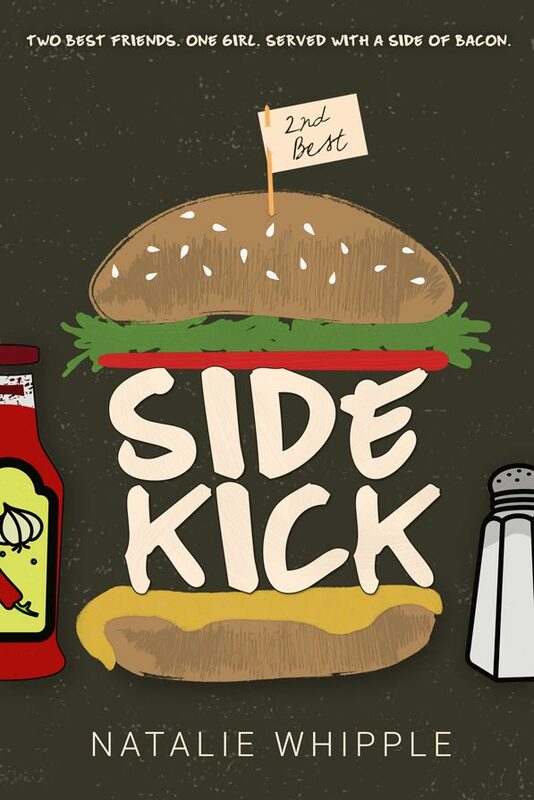 SIDEKICK Cover Reveal! Plus Some Epiphanies. If money, success, people's opinions weren't a factor, what would you choose to do as a writer? And the answer, quite to my surprise, came very quickly: I'd indie publish. When it comes down to it, I love the process. I love creating a book. Not just the writing part but all the way through design and publication. The second I realized this, I got excited about writing again. I immediately laid out plans for several books I could publish. I felt like everything snicked into place and all that confusion was gone. So this is what I'm going to do. And I'm starting fast and furious by publishing a book next month. Yes, NEXT MONTH. It is one of the many books I prepared for publication long ago, but for one reason or another it never made it through the pipeline entirely. I apologize for any cravings or hunger pain caused by this cover. Actually no I'm not sorry that's totally what I intended. I wrote SIDEKICK after I felt like I'd lost nearly everything in 2010. The story is about Russ, a high school football player who feels like he always comes in second to his best friend, Garret. Well, he's tired of it, and he gets the rather foolish idea that if he can win the heart of the new girl in town before Garret he can prove he's not just sloppy seconds. Russ has only one edge against Garret—the fact that his anime-obsessed little sister has befriended said new girl—but he plans to use it. He'd never tell the team, but he's been going to Anime Night for years and might even enjoy it. That would ruin his reputation, just like his secret love for cooking and James Taylor. I'm super excited to finally be able to share this story with you! It was my very first foray into contemporary, and it rekindled my love of writing after it felt like all was lost. It feels very appropriate to have this be my first published novel after another rough patch in my writing life. Congrats! I'm so glad you've found happiness in writing again! Wow! I just came here to look at the comments on the last post, and suddenly, book bomb! Yay for you! i love that you are heading in this direction. Sidekick sounds amazing. Can't wait to check it out. Like your previous books I've read, this book sounds awesome. Your books are so fresh and cheerful. I can't wait to get my hands on Sidekick. I feel like it's a story I can relate to very easily. However, I currently live abroad and I was wondering if you will create an e-reader version of the book or if I shall have to plot on a future trip in the US? Congrats Natalie :) So great to follow your journey and hear such positive news.